A procedure to change raw materials into lucrative products is called manufacturing. This procedure includes many stages. But nowadays, these stages are facing minor/major errors due to increasing competition, global manufacturing scenario, changing customer needs, new supply chain problems, and many more. Therefore, Industry seriously needs a system that could be able to facilitate production process that is money-spinning, factual and time saving. Binary Semantics' manufacturing solutions offers facilities that would be availed to control every stage and blockages of the manufacturing business. 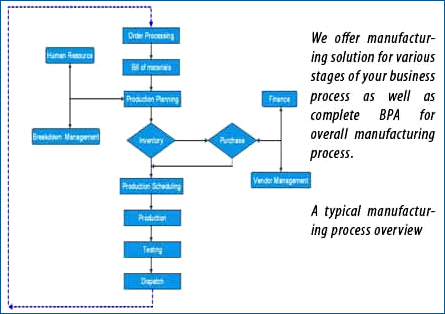 Order processing, bill of material (BOM), material-resource planning (MRP), production planning and control (PPC), purchase, inventory management, production scheduling, quality management, job costing, are various stoppages of this processing. When Binary's manufacturing solution is implemented, manufacturing business is empowered to achieve the desired results without fail. 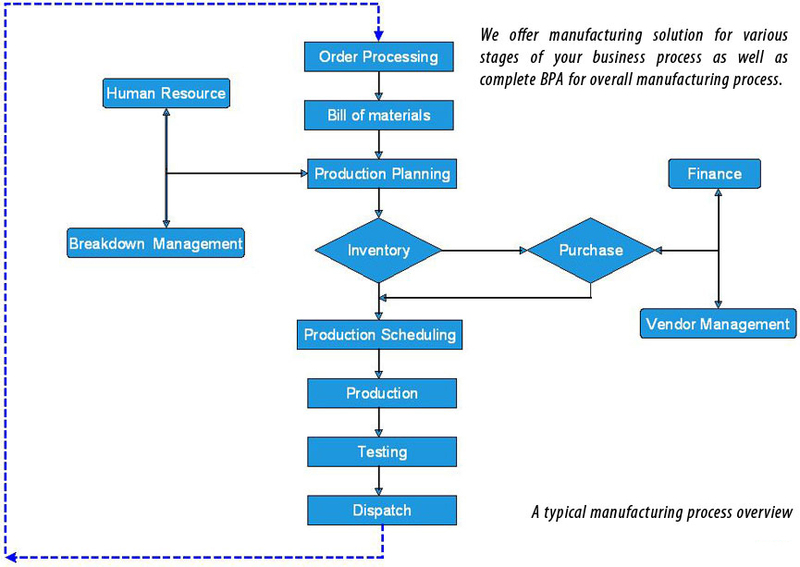 Binary semantics provides its data mining, optimization, linear programming and decision support science (DSS) solutions to help in smoothening of manufacturing processes for optimum results, and connect them sales, supply chain, finance, customer relationship management (CRM). It is also effective in application of other business operations in an organisation to achieve useful operations management. With an expertise in relative field, we are bounded to provide quality products in empowerment of enterprise’s MIS reports to accomplish the business objectives with no difficulty. Let us now step on the other side of the table and see what goes into setting up an e-commerce business.